Published by www.cleantechnica.com. View original post. 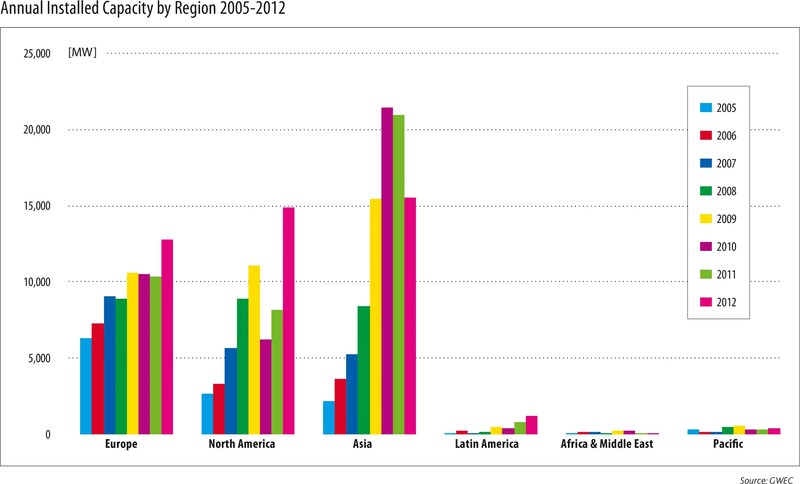 Policy uncertainty buffeted the world’s wind energy industry in 2013, somewhat slowing overall capacity additions, but strong headwinds appear ready to lift the industry to new heights in 2014. Despite a year of modest growth, however, worldwide wind energy capacity has more than doubled over the past five years and is set to gust ahead in 2014 led by installation booms in China, the United States, and several developing nations. 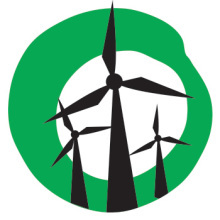 35,467 megawatts (MW) of new wind turbine capacity was installed globally in 2013, a decrease of nearly 10,000MW compared to 2012’s installed totals, and attributable largely to a decline in U.S. installations caused by uncertainty over the Production Tax Credit (PTC) renewal. Indeed, only 1,084MW of new wind capacity was installed in the U.S. during 2013, good for just fifth place worldwide. That’s a small number considering America has the second-most cumulative installed wind capacity in the world at 61,091MW. For even more context on how PTC uncertainty stalled U.S. installations, Canada, which had just 6,204MW of installed capacity coming into the year, beat out its southern neighbor with 1,599MW new capacity in 2013. Europe, the longtime regional leader in total wind capacity with 121,474MW, installed 12,031MW new capacity in 2013. That number is roughly 8% lower than 2012 totals, but was primarily centered in just two countries – Germany with 3,238MW and the United Kingdom with 1,883MW – “an unhealthy concentration of the market,” said Sawyer. But just as Europe and the U.S. slowed down in 2013, China and the developing world accelerated, taking flight toward new heights in 2014. 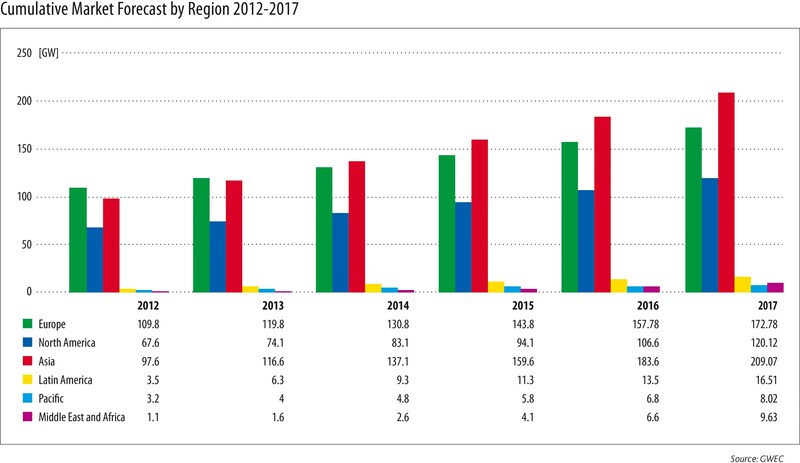 China, the undisputed global wind leader with 75,324MW installed capacity at the start of the year, built 16,100MW worth of new turbines in 2013 – just under half all new capacity added worldwide! China’s installed capacity now totals 91,424MW, leading GWEC to speculate the country’s wind industry may be entering a new phase of maturity. The winds of change weren’t just limited to China, however. India installed 1,729MW in 2013, roughly a 10% increase and fourth-most worldwide, to reach 20150MW. The country has also established a national “wind mission” consisting of regulatory fixes and grid improvements, set to start mid-2014. 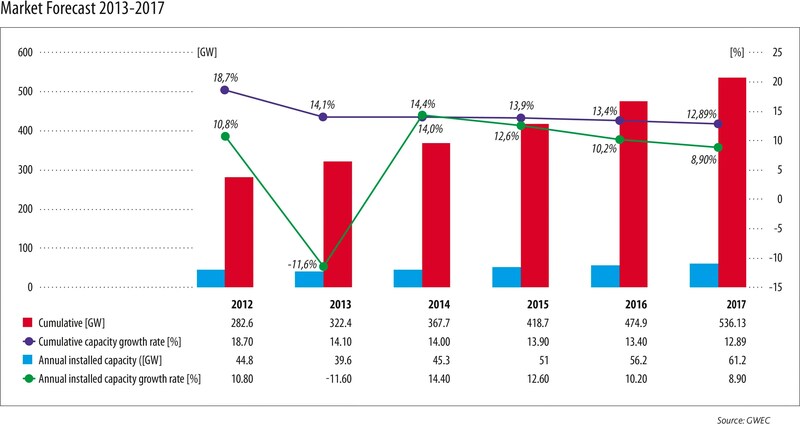 Brazil, which entered the year with just 2,508MW installed capacity, added 948MW in 2013 to reach 3,456MW. The country’s wind market is truly about to take off, however, with 4,700MW of new projects booked in 2013 – meaning it will more than double overall capacity. GWEC forecasts 2014 installations will return to at least 2012’s record mark, when 45,169MW were installed, although it notes a more accurate outlook will arrive with its annual five-year forecast from 2014-2018 in April. The Graphs really highlight how myopic our current federal government is when you see the projections for Latin America and Africa.